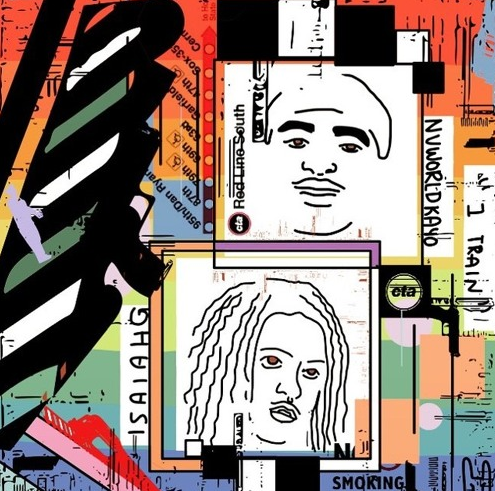 Oh man oh man, Chicago’s own IsaiahG just blessed us with a fantastic new record titled “1 Train” featuring Nuworld Kayo, and it’s one of his best songs yet. Trust me, I’m already aware of all of the great music that Zay has blessed us with up to this point, but there’s just something about the way him & Kayo attacked this hard knocking production that is just addicting. If you know anything about Isaiah, then you already know that his right hand man & AAP affiliate Aaron Deux provided the banging beat, and the rest is history. Isaiah started off this joint with one of his best verses to date, before Nuworld Kayo smoothly jumped in around the half way point & made his presence felt right away with his melodic approach. Don’t sleep on these two, as they are two of the most promising artists coming out of the city. Peep the brand new single below & be sure to be on the look out for Isaiah’s KnowSpace EP coming soon!